I love the story of how this fantastic re-edit of ‘Walking’ Struttin’ Strollin’ came together. In recent years I’ve become more interested in electronic music, in particular electro swing and glitch Funk/Hop. My roots are in 60/70s (jazz funk) but for me it is also important to embrace other decades and of course contemporary developments. I certainly don’t won’t to be stuck in 70s jazz funk and become solely a retro or pastiche artist. The concepts of embracing different decades also starts to influence my band’s line up and I cherish gigs when the make up of the band spans musicians with birthdays in four, even five different decades. I love the counter flow of experience, energy and enthusiasm. As I found out that ‘Beat Fatigue’ also played a mean jazz funk guitar and used to be in a Dutch horn band before the programming bug bit him for good. Clearly his musical sensibilities overlap with my own so I thought I should get in touch asking if any of the tunes of the Time Thief album would inspire him to create a total rework in the unmistakeable Beat Fatigue style. 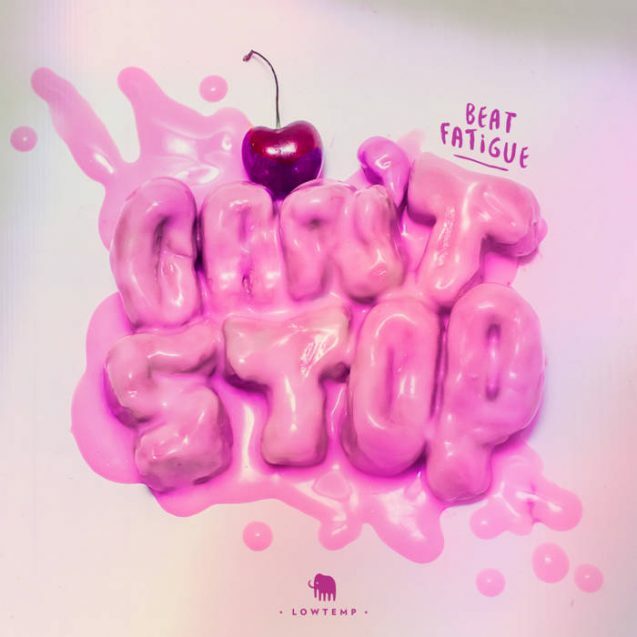 Beat Fatigue is a 25 year old producer, DJ and guitarist from Amsterdam. He was ten years old when he first picked up a guitar. Inspired by his heroes such as John Scofield he produces everything funky. Funky wobbly swinging bass-lines with jazzy chord progressions, some recorded midi layers, effects, vocal chops, punchy drums and a guitar-jam on top of it is what you can expect of his sound.